"As an organization that works to mitigate displacement, we then found ourselves displaced," said Camryn Walton, Communication and Outreach Coordinator with Radian. "We're in the fight with them," said Walton. "We luckily found a landlord who really attached to our mission and he saw what we were doing, and so he agreed to a long-term lease so that we're locked in so we don't have to raise the rent on our tenants," said Walton. 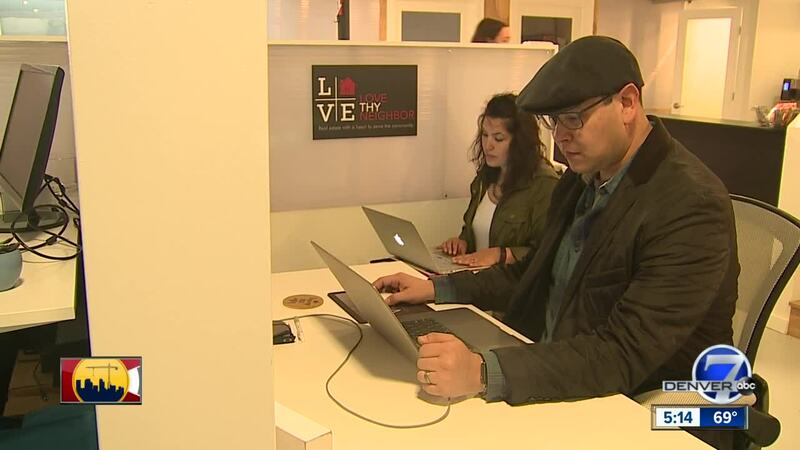 “We need places for small businesses to develop and grow and to connect with the community," said Joseph Dominguez with Love Thy Neighbor, a real estate group that is committed to providing access to affordable homes. “So this gives us a good opportunity to go out into the community and we’re growing because of it," said Dominguez.